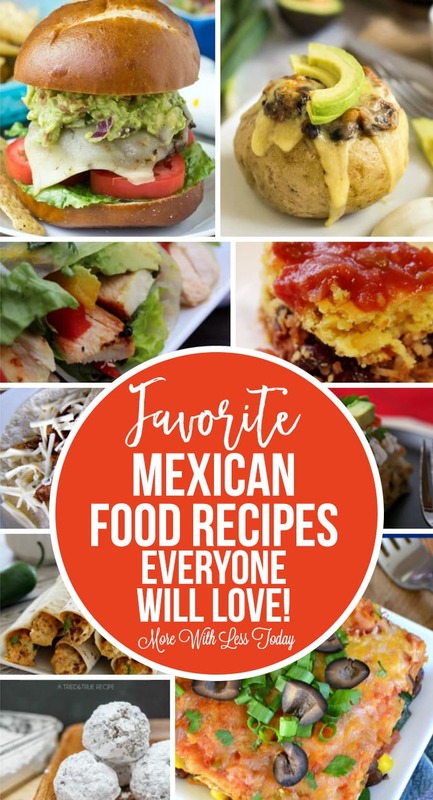 Favorite Mexican Food Recipes Everyone Will Love! What are you making for dinner tonight? We put together a roundup of favorite Mexican food recipes everyone will love from some of our favorite food bloggers. Several of them can be made in your slow cooker and will fill your kitchen with wonderful aromas all day! Slow Cooker Mexican-Style Shredded Beef by Who Needs a Cape? What is your favorite Mexican Food Recipe?